Where the Orchids Grow. 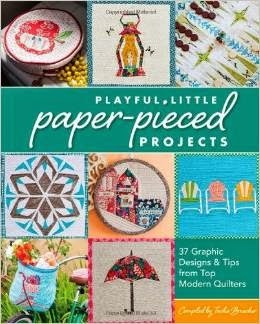 : Paper piecing tips & new pattern coming soon! 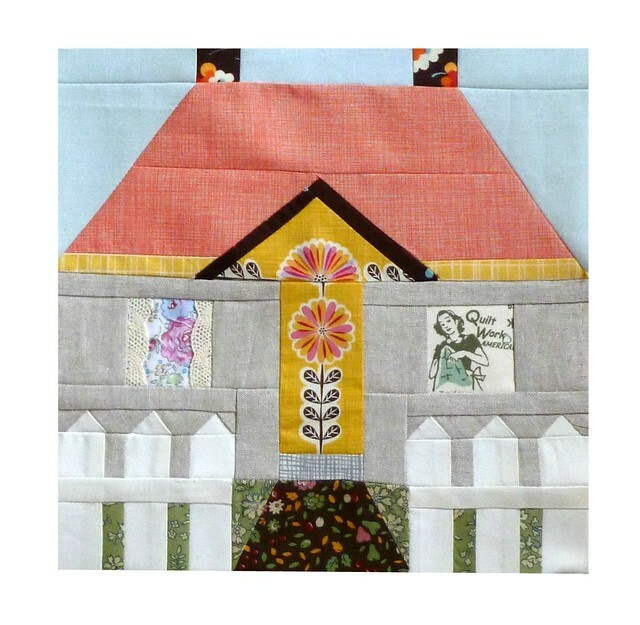 I have been working hard on turning my White Picket Fence bee block into a new paper piecing pattern. These things are always slow progress for me as I spend a lot of time working through all the little details trying to get them just right. 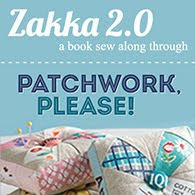 Redrafting, sewing up samples, fine tuning, a healthy dose of self doubt- it all takes up a lot of time! But I am pleased with the changes I have made especially to the fence, opening it up has really enhanced the illusion of depth and space. Finishing at 10" square this block would make a lovely center for a cushion or tote bag as well as a substantial sized block for a quilt. I am hoping to wrap this one up and have it available in the shop soon! 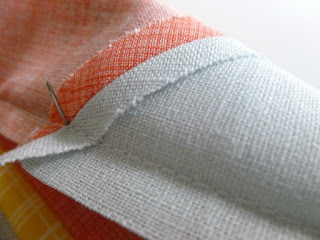 Although there are no 'Y' seams or curves to this design aligning all the pieces can be a little challenging. I pin a lot and take it slow. I find there is no quick way to sew these blocks they really demand your full focus and time to get it right. 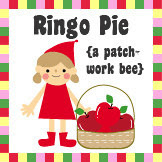 We have been discussing ways to improve our piecing skills in Cocorico lately and I thought I'd share three of the tips I found most helpful. 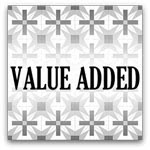 Another helpful trick to matching up pieces properly are tick marks. Kerry did a great tutorial on how to use them here She is such a clever bean using tick marks for paper piecing, I had never thought of them outside dress making! I find them especially helpful matching up sections. 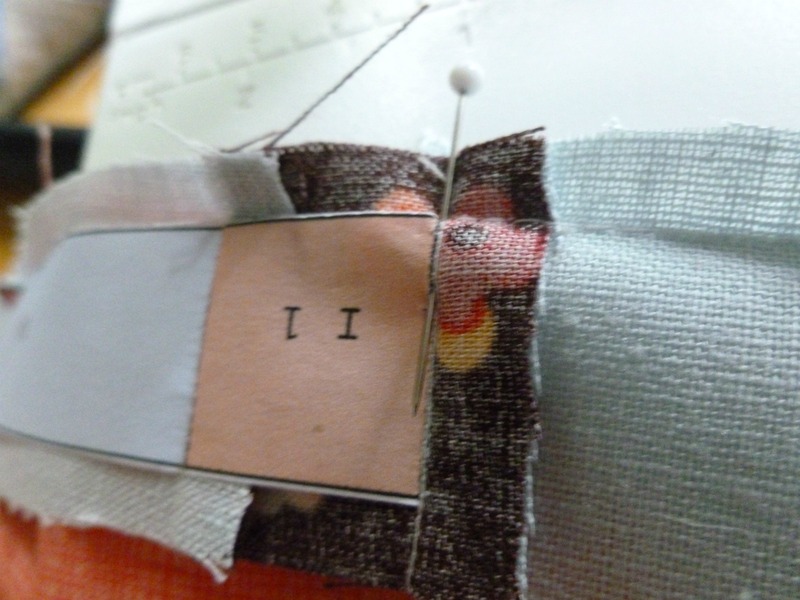 After pinning and aligning my tick marks I sew a line of basting stitches. 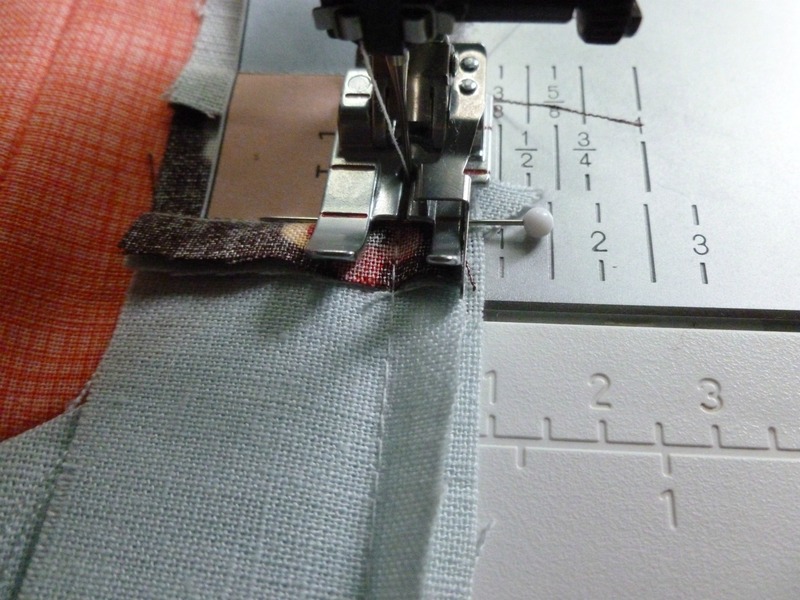 I use a very small stitch length for paper piecing (about 1.5) which makes ripping seams a nightmare. I set my basting stitches to about 2.5-3 on my machine, but your settings may be a bit different. You want your stitches large enough so if you get it wrong ripping that seam will be easy without putting strain on the fabrics, but not so large your seam starts to gather. 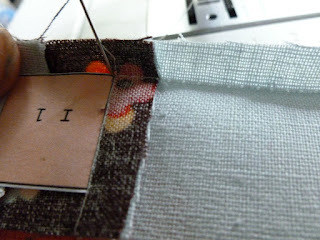 When I am happy with the way things line up I just stitch over the basted seam with my regular small stitch length. Added bonus of basting when foundation paper piecing is you're perforating the paper at least twice which makes it very easy to peel off in the end. Leave the paper on till the end! This is something I don't do consequently enough. My freezer paper templates usually start flaking off after handling them for a while and rather than ironing them back on I just take them off. I don't enjoy digging under seams to peel off bits of paper when foundation piecing so generally I start ripping bits off half way through. It is going to make a lovely pattern. I'm with you on all the pinning and basting, get those points all mached up, diagonals are the hardest! excellent tips friend! thanks a ton! I don't see any self-doubt in this block. Lovely! Thanks for all the explanations. Love the house and the perspective is working really well, you are so clever ! Such a fab block! I am still way to scared to have a go!! Love the block and the tips are great thanks.